Light detection and regulation lies at the core of many advanced device applications, such as the camera found in a phone. With graphene as a light-sensitive material, light detectors can provide major improvements with regard to materials being used these days. For instance, graphene can detect light of nearly any color, and it delivers a very fast electronic response within one-millionth of a millionth of a second. 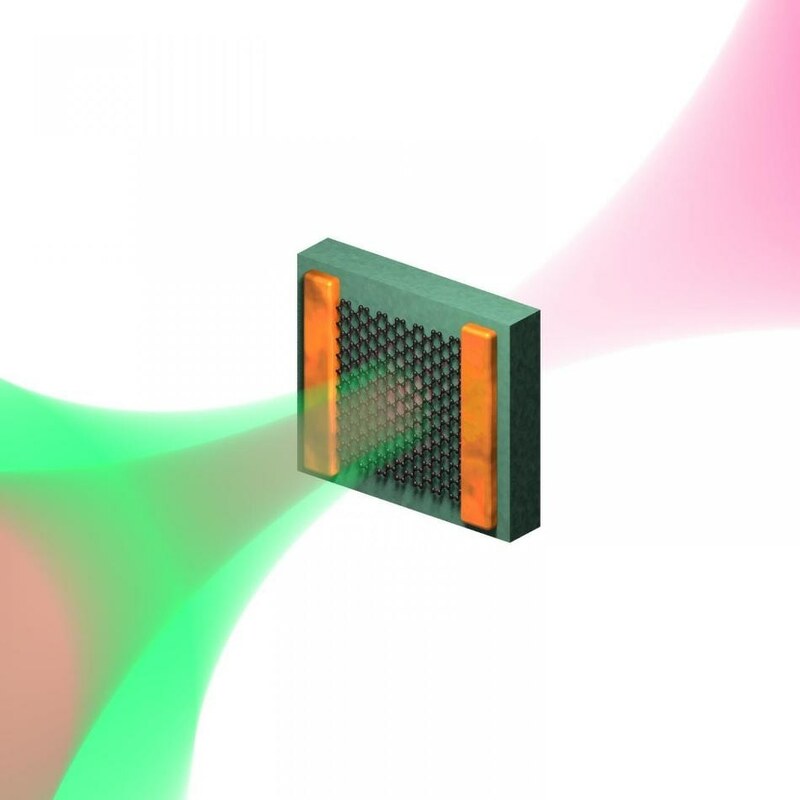 Hence, in order to suitably design graphene-based light detectors, it is vital to understand the processes that occur within the graphene following the absorption of light. Schematic representation of the ultrafast optical pump—terahertz probe experiment, where the optical pump induces electron heating and the terahertz pulse is sensitive to the conductivity of graphene directly after this heating process, which occurs on a timescale faster than a millionth of a millionth of a second. (Image credit: illustration: Fabien Vialla/ICFO). A team of European researchers including ICFO from Barcelona (Spain), IIT from Genova (Italy), the University of Exeter from Exeter (UK) and Johannes Gutenberg University from Mainz (Germany), have recently succeeded in comprehending these processes. Published in recent times in Science Advances, their research gives a detailed explanation of why, in certain cases, the graphene conductivity increases after light absorption and in other situations, it decreases. The scientists demonstrate that this behavior matches with the way in which energy from absorbed light travels to the graphene electrons: Once light is absorbed by the graphene, the processes through which graphene electrons heat up occur very fast and with an extremely high efficiency. For extremely doped graphene (where many free electrons exist), ultrafast electron heating results in carriers with elevated energy - hot carriers - which, in turn, results in a decrease in conductivity. Fascinatingly, for weakly doped graphene (where not so many free electrons exist), electron heating results in the development of additional free electrons, and thus an increase in conductivity. These extra carriers are the direct result of the gapless nature of graphene - in gapped materials, electron heating does not result in more free carriers. This straightforward situation of light-induced electron heating in graphene can clarify many observed effects. Apart from explaining the conductive properties of the material after light absorption, it can describe carrier multiplication, where - under definite conditions - one absorbed light particle (photon) can indirectly create more than one extra free electron and as a result form an efficient photoresponse inside a device. The paper’s results, specifically, understanding electron heating processes correctly, will definitely mean a huge boost in the design and development of graphene-based light detection technology. This research received funding from the E.C. under Graphene Flagship, as well as a Mineco Young Investigator grant.